Jose Luis Gomez is a founding member of the Congress of Day Laborers in New Orleans. In 2006 he settled in the city after Katrina, and became one of the workers who helped rebuild the city, while organizing to defend workers against racial profiling, wage theft and deportations for almost 10 years. In January 2011 an immigration agent disguised as a contractor conducted a raid at a well-known day labor corner in New Orleans. One of these agents lied to Jose offering him work, and once he was in the man’s vehicle, he was surrounded and questioned by other ICE officers. As a result, Jose has been in deportation proceedings since then. 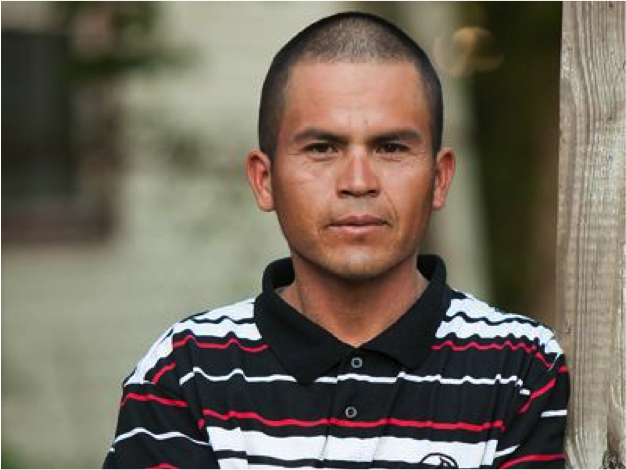 Recognizing that what happened to him was a violation of his rights, and that it could happen to other workers, Jose continued to organize. He filed a complaint with the Department of Homeland Security’s Office for Civil Rights and Civil Liberties, and has been a key witness exposing abuses like these by the New Orleans ICE office. He also has continued his advocacy, and as a result has the support of nationally recognized labor and civil rights organizations. Despite all of this ICE has denied every request to close Jose’s case, and for the last 4 years has tried to deport him. At his last court date, ICE denied all the motions in his case. Although he is going to appeal, we need your support. Please sign below to tell ICE to stop persecuting civil rights defenders and close Jose’s case! Because ICE has refused to close Jose’s case, we are asking ICE Director Sarah Saldaña to stop his deportation. Please sign below to support. I am writing in support of Jose Luis Gomez (A 201 142 183) a founding member of the Congress of Day Laborers in New Orleans. In 2006 he settled in the city after Katrina, and became one of the workers who helped rebuild the city, while organizing to defend workers against racial profiling, wage theft and deportations for almost 10 years. Recognizing that what happened to him was a violation of his rights, and that it could happen to other workers, Jose continued to organize. He filed a complaint with the Department of Homeland Security’s Office for Civil Rights and Civil Liberties, and has been a key witness exposing racial profiling, retaliation for the assertion of rights and other abuses like these by the New Orleans ICE office. He also has continued his advocacy, and as a result has the support of nationally recognized labor and civil rights organizations. Despite all of this ICE has denied every request to close Jose’s case, and for the last 4 years has tried to deport him. As a concerned member of the community, I urge you to use prosecutorial discretion to close his case. His next court date is on June 23rd.